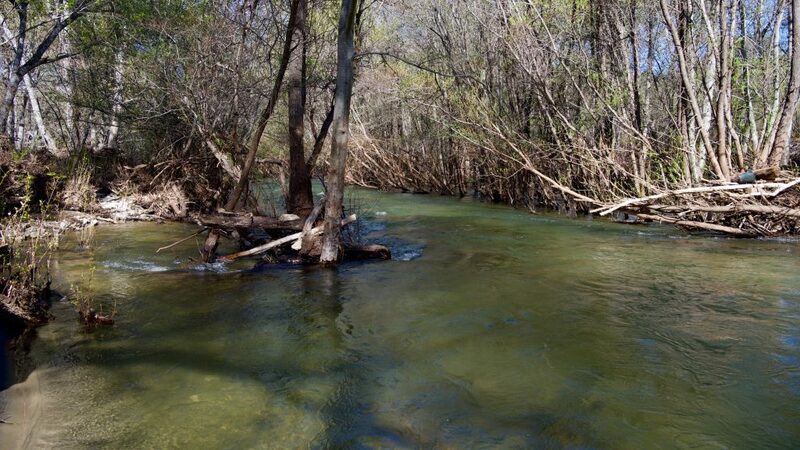 The Carmel is a lovely little river. It isn't very long, but in its course it has everything a river should have. It rises in the mountains, and tumbles down a while, runs through shallows, is dammed to make a lake, spills over the dam, crackles among round boulders, wanders lazily under sycamores, spills into pools where trout live, drops in against banks where crayfish live. In the winter it becomes a torrent, a mean little fierce river, and in the summer it is a place for children to wade in and for fishermen to wander in. . . . It's everything a river should be. Every Spring semester when I teach my Ecology class, I try to develop a new field trip activity, or modify an existing one. Some activities I'll probably always keep, either because they are really popular with the students or (more likely 'and') because I think they are good learning experiences, but I can also swap out some of the others if better options come along. There's also some fine-tuning that occurs along the way, as I tweak things to improve what I hope is already a good field trip. 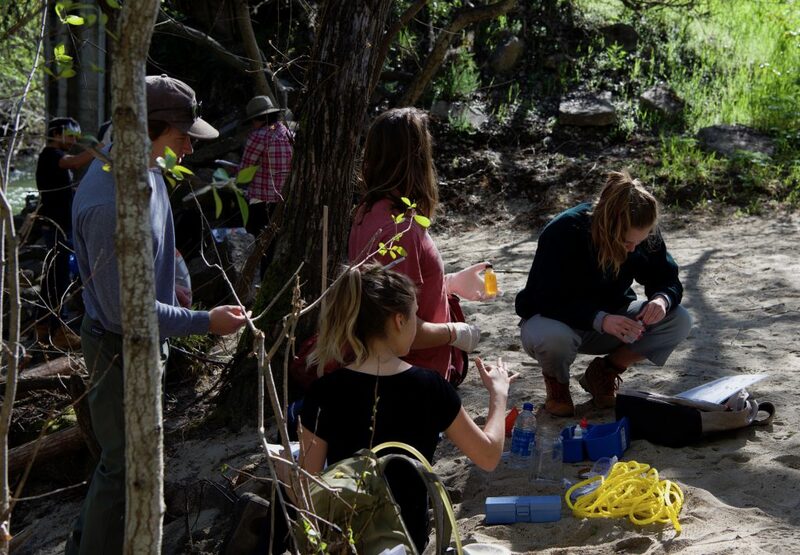 As much fun as it is to play outside instead of being stuck in a classroom, the point of the field trips is to learn something about ecology--a new habitat, current research in particular fields of study, challenges to restoration and conservation, and the like. Since citizen science has become the catch phrase du jour in the first fifth of the 21st century, I feel that it is important to give students opportunities to participate in some of the science activities available to the wider community. All of which explains why the students and I made the hour-long trip down to a location called Garland Ranch, on the Carmel River. 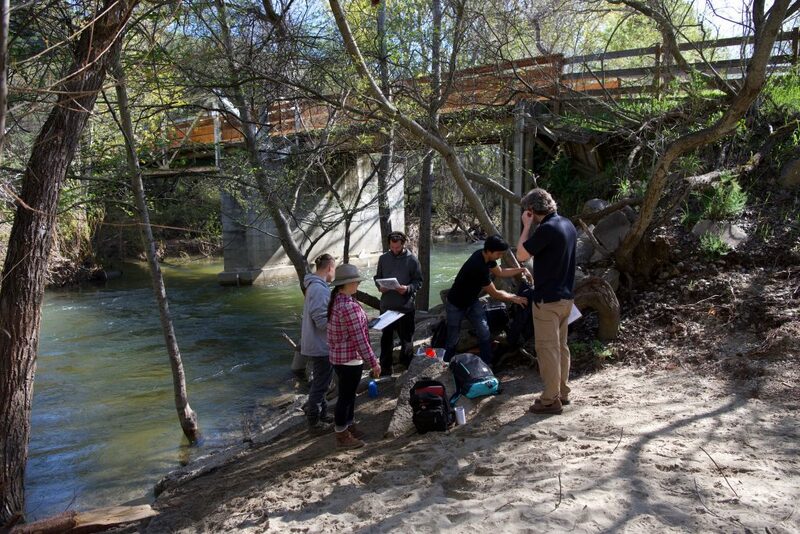 Back in the fall I heard of a new project starting up in Monterey County, to monitor water quality along the Carmel River. The project, called Watershed Guardians, is operated from the Pacific Grove Museum of Natural History. Its goal is to protect steelhead trout in the river by measuring parameters that indicate suitability for the various life history stages of the fish. 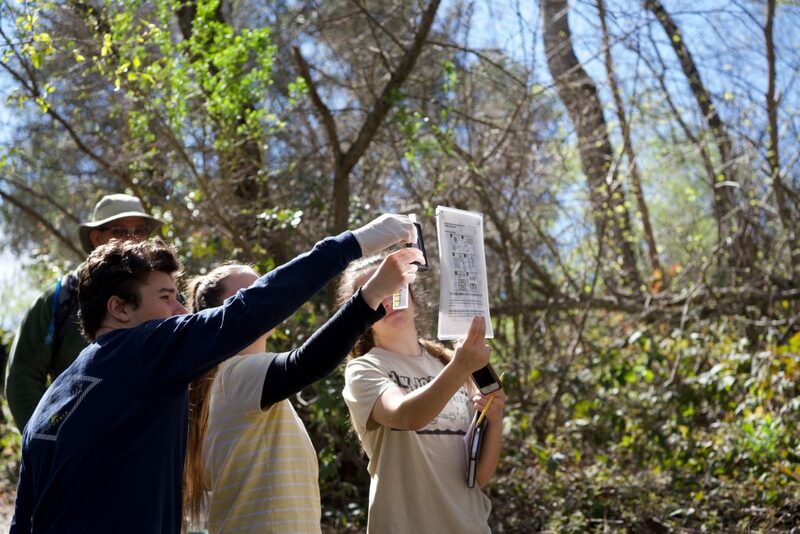 Like many programs of its kind, Watershed Guardians also has a secondary goal of getting students as young as middle-schoolers out of the classroom and into the field to do some real science. The two goals converge quite nicely, as a big part of the learning experience for the students is developing an understanding ownership of their local river and watershed. Hopefully that sense of ownership evolves into one of responsibility and stewardship. And it is a well-known adage that one way to get adults to care about something is to get their kids to care about it first, so all of these citizen science programs directed at school-age children have the benefit of attracting the attention of people old enough to vote and direct policy decisions. Win-win-win! Our guide for the day was Matt, who works at the PGMNH and led the teacher training session I attended last fall. He met us at Garland Ranch, where we divided the class into four groups. Matt had arrived with two pairs of backpacks, each pair consisting of one light and one dark. The light and dark backpacks contained equipment and kits for different suites of tests. Each group of students would start with one backpack, either light or dark, and then swap with a different group when finished. That way every group ran all of the tests: pH, temperature, turbidity, DO (dissolved oxygen), alkalinity, and salinity. Some of the tests were quite simple, and others were more complicated. The four sampling sites at the Garland Ranch location were close together near the vehicle bridge. We've had a lot of rain this winter and the river has been running high. As a result a lot of the sand had been washed away, making the beach fairly steep and rather narrow. To make matters even more difficult, the poison oak has been extremely crafty--its bare sticks are everywhere, looking totally innocent, encroaching on trails and twined around trees. It took some attention to make sure I didn't brush up against any of it while moving up and down the beach. The final step in the program is for the students to enter their data into the Watershed Guardians database. The whole point of the program is for these data to be shared publicly for all to use. It's important for students to see the activity through to the end and to know that the work they did will actually be going somewhere. We'll take care of that task next week! Besides quoting one of my favorite authors of the 20th century John Steinbeck and colleague of Doc. Ricketts, I find Allison Gong a conduit of learning. Have you ever been up to the headwaters? Before my arthritis debilitated me, I backpacked up there a couple of times.